Urbanisation has modified the natural environment and resulted in habitat fragmentation. There has been a loss of biodiversity, ecological processes have been highly modified. Decreased infiltration of water from rains due to diversion of rainwater to underground drainage. Increased pollutants and sediment from increased surface runoff is ending up into waterways and impacting its health. Extreme changes in the flows, including erosive and peak flows, are altering biodiversity in rivers. Increasing temperatures, causing urban heat island effect, in urban environments. While such infrastructure may have been a good idea in the past. People are now realising the negative impacts. Daylighting streams is one of the recent trends to restore streams and waterways. Implementing green infrastructure is another strategy. Green Infrastructure describes the network of green spaces and water systems that deliver multiple environmental, economic and social values and benefits. Plantings which provide ecosystem services in cities and replace ‘grey’ engineered infrastructure. 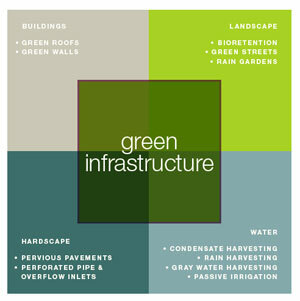 Examples include rain gardens (biofilters), constructed wetlands, green roofs, gardens, street trees, green walls and facades. Raingardens are self-watering, low maintenance gardens designed to protect our rivers and creeks, by capturing stormwater that runs off hard surfaces after it rains. A raingarden is a water saving garden that is similar to a regular garden bed, but is designed specifically to capture stormwater from hard surfaces such as driveways, patios and roofs via downpipes after it rains. Raingardens are an easy way to create a water-efficient garden and improve the health of your local creek. 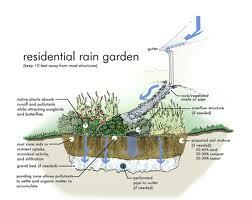 How to build a rain garden? Why build a rain garden box? 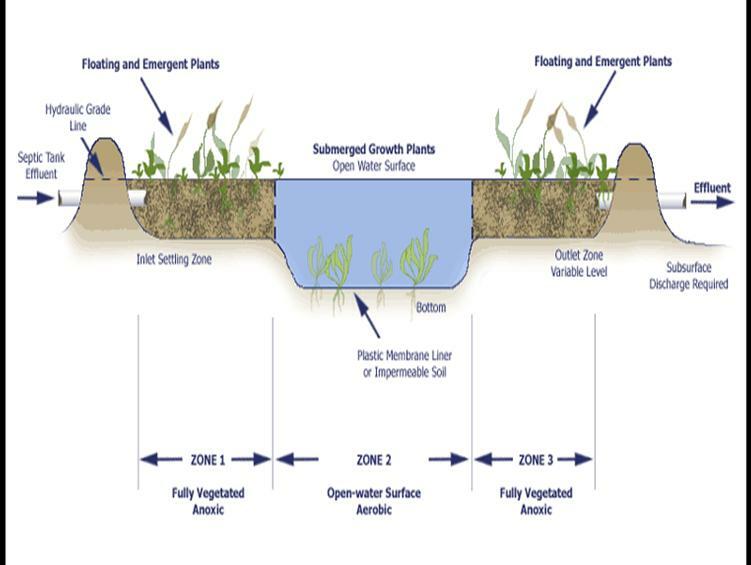 A constructed wetland or wetpark is an artificial wetland created as a new or restored habitat for native and migratory wildlife, for anthropogenic discharge such as wastewater, stormwater runoff, or sewage treatment, for land reclamation after mining, refineries, or other ecological disturbances such as required mitigation for natural areas lost to a development.Natural wetlands act as a biofilter, removing sediments and pollutants such as heavy metals from the water, and constructed wetlands can be designed to emulate these features. Individual green infrastructure components can contribute to restoring the whole landscape. Green infrastructure is a useful too for improving ecological function and livability of cities. Each aspect has its’ own benefits/constraints. Natural ecosystems can be used as models to improve function. Integrating different technologies likely to increase benefits. Research is critical to overcome barriers for green infrastructure adoption and to make it more widespread. Ongoing maintenance in public urban environments are also a consideration given the cost and potential safety risks. 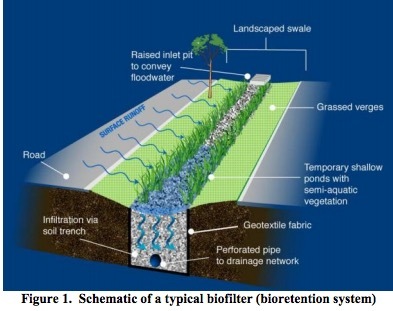 This entry was posted in Design, Efficient Buildings and tagged biofilters, City street trees, constructed wetlands, Ecosystem services, energy efficiency, gardens, green infrastructure, green roof, green wall, heat island effect, parks, rain gardens, sensitive urban design, urban agriculture, Urban design, urban woodlands. Bookmark the permalink.